With Roberto Conterno coming to London next week and the new releases about to be offered I felt I must get this blog posted. The visit took place back in mid May. There is no estate that I visit to taste more often than Cantina Giacomo Conterno in Monforte d’Alba. It is a place I get very excited about every single time. The wines are wonderful and I always learn a lot. I am biased of course but I think it is the same for almost anyone who visits, My trips there from the following years are documented here 2011, 2012, 2013 and 2015). If you search “Conterno” on here you get rather a lot of results! Before moving on to the 2012 Barolos, Roberto thought it would be useful to taste the Barolo Francia 2009 as he sees similarities with the 2012’s. Barolo Francia 2009 – Colour is lightening more than evolving, a lovely hue. There is a touch of red strawberry fruit then more floral notes before a little iodine and some good, ripe grip. Drinking well but obviously no rush at all. We then moved on two taste two more wines. Monfortino Barolo Riserva 2010 – this is a possibly the most eagerly awaited Italian wine release of all time. I have now tasted it three or four times with equally profound results. There is impeccable balance incredible poise and an almost effortless weight to the wine…Very exciting and now in bottle. Barolo from Cascina Francia vineyard 2013 – With the final decision on this wine not yet made it was great to taste the 2013 Francia or to give it it’s correct name, Nebbiolo di Barolo Francia. It was a vibrant and expansive nose, rich, opulent and bold. There is iron and a grainy saline elegance to the texture…quite something. Each year in the evening before or after tasting we have a dinner with Roberto and his assistant Stephanie. We usually go to one of the lovely local restaurants – which were the inspiration for most of the meals we had during this epic trip – “Foxes behind ears”. This year though was different as we ate a wonderful meal at the Cantina with Roberto, family and friends. A real honour. Standing in the kitchen while Meyumi prepared the dinner and gave us amazing pizza and cured meats we started with Gaston Chicquet 2007. Not a wine I know but the Italians love Champagne. This was bright, clean and nicely focused, a dash of yeastiness, worth seeking out. Then a wine I know rather well – Salon 1995 – this is really in the zone now from bottle, toasty, refined with lemon shortbread and mellow fruits, just lovely. For white we went to a bottle we had sent ahead – Puligny Montrachet 1er Cru Folatieres 2009, Domaine Leflaive – a little reduction but essentially a generously fruited Puligny which is true to the vintage without being too much. Now time for the reds, all of which Roberto decanted delicately just before serving. First up – Barbera d’Alba 2001 – I have tasted this before but never drunk it. Barbera at this age is interesting. A tiny bit of iron and iodine, stones, savoury blacker fruit and richness but not heaviness. Now a wine I have been lucky enough to have had a few times – Barolo Cascina Francia 1990 – soy, ginger, bacon fat and a little creosote, delicious. Sweet decay with some good volatile life. There is a sense of teriyaki flavours and a little Bual Madeira. Decadent and lovely. It sounds silly to say that this has a real “1990” feel but it does, so many 1990s are generous and decadent, this is just that. Monfortino Barolo Riserva 1985 – a wine I think I have only had once and then from magnum at this tasting – Monfortino magnum Monday 1970-2006. Tiny bit of orange to the rim here, this is a mature wine but has a lovely sweet decay about it, a wine with tea character and super poise. It had been quite a night. Having had a massive meal of wonderful dishes and so much great conversation we headed back to our lodgings, the unique Le Case della Saracca – if you find yourself in Monforte you must stop by, great rooms and a terrific bar where we had one last drink Barolo Chinato, Dr Giulio Perin (who owns the Saracca) made with Nebbiolo from Conterno Fantino. I am a big fan of Chinato!! At the bottom of this post I have put three exerts from a recent offer I wrote, they might be of interest. Monfortino – What is it? What is next? The previous releases – When, how and what to drink now? On getting back to London the following evening I then had a dinner at Kitchen W8 with a customer and friend. Kitchen W8 I think is as good a place to go as anywhere to enjoy food and wine, they have a great attitude to corkage as well as a good list. They will easily tweak things for you, we had three bottles and wanted two starters and two mains, they adjusted portions a bit (not too much thank fully) and it was a very enjoyable evening. Salon 1983 – This is fully mature and deliciousness, a little orange rind and zestiness with a hint of mellow ginger too. Wehlener Sonnenuhr Auslese Goldkap 2003 – I love this wine and would never have it as a 2003 served blind. There is warm vintage richness but nothing that doesn’t suggest it is refined and will age very well. Clos de la Roche Grand Cru 2005, Rousseau – I am very lucky in so much as I get a fair bit of exposure to the wines of Rousseau but Clos de la Roche I know less well. This is quite brooding but not a waste to have this early, quite rich it got better and better with air. The fruit is a little darker than the CSJ would be. EXERTS form a , soon to be released, Conterno offer as mentioned above. The words “perfectionist“ and “fanatical” are amongst the most overused in the wine world but both apply here to an extraordinary degree. You could, literally, eat your dinner of the floor of this winery. In fact I would if only Roberto would allow it! When the topic of corks arise with Roberto there is always something new to discuss. He just does not accept that corks should be less than perfect. In fact one of his favourite phrases is “with my wines you are not opening a bottle of Barbera or Barolo or Monfortino you are opening a bottle of “CONTERNO””. It is a point made with no wink or half smile, it is heartfelt. The corks are of the same standard in all the wines. More and more the great producers say “you don’t ever negotiate prices with cork suppliers, you get what you pay for”. All these corks are inspected by an optical sorter with the view to answering two questions; 1) is the cork good enough? If yes, then on to question 2, if not the bin. Question 2) which is the better end? The vintage is then laser etched on the “lesser” end so the perfect end faces the wine with no etching having been added. I have video evidence should you require it. I am often asked how Roberto decides whether there will be a Monfortino in a given year and where the wine comes from. Monfortino is a selection from the Cascina Francia vineyard based on the absolute quality of the fruit. It is not a specific site though there is of course significant crossover from one Monfortino to another in terms of the area used. There is always an initial intention to make a Monfortino. 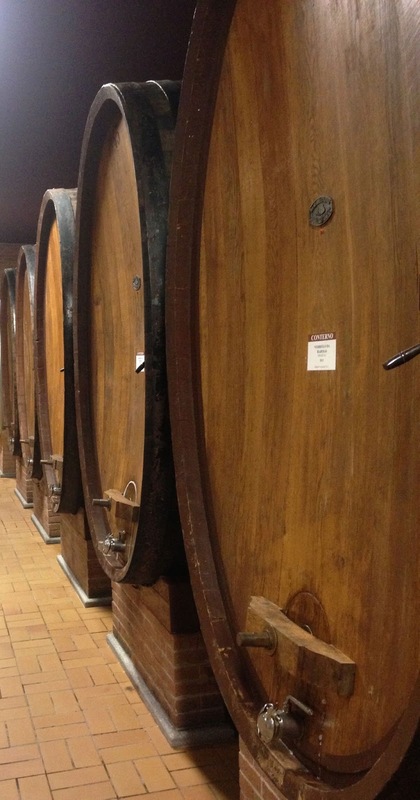 The large barrels (botti as they are called) that are selected to be “Monfortino”, and it may be one (usually), two, or more that are then tasted as time passes and if they are significantly high in quality and, importantly, significantly different in character from the Barolo Francia then a Riserva Monfortino will be bottled. The ageing for Monfortino is 5-7 years, in other words 1-3 years longer than for Barolo Francia. If the Monfortino is not to be made separately then it is blended in with the Barolo 6 months to a year before that is bottled. Recent vintages where Monfortino was not made – 2012, 2011, 2009, 2007 and 2003. The only time, to date, when there has been a Monfortino and no Barolo Francia was the 2002 vintage, a very small vintage but one where, against the odds, the quality was superb. The next Monfortino to be released will be the 2010, this time next year. Arguably the most eagerly awaited release ever from the region, it is a wine I have tasted several times from botti and which lives up to all the hype that surrounds it. 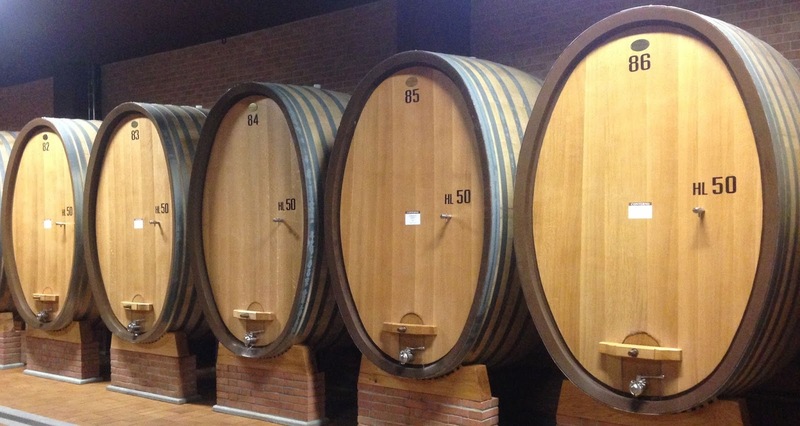 Barberas – I feel that in most vintages the Barbera wines show best in the 4-8 years window. They become more savoury over time and continue to age (a recent 2001 with Roberto was superb) but as you would expect have a less defined character. The 2009, 2010 and 2011 vintages are very good now. As these are unfiltered and Barbera is a thicker skinned grape variety I would recommend decanting 15-30 minutes before serving. Barolos – The warmer years drink very well when younger and served a shade cooler (14-15 degrees). The vintages I would put in this bracket are 2003, 2007, 2009 and 2011. These will all improve but are ready to drink. I recommend continuing to cellar the 2004, 2006, 2008 and 2010 vintages. 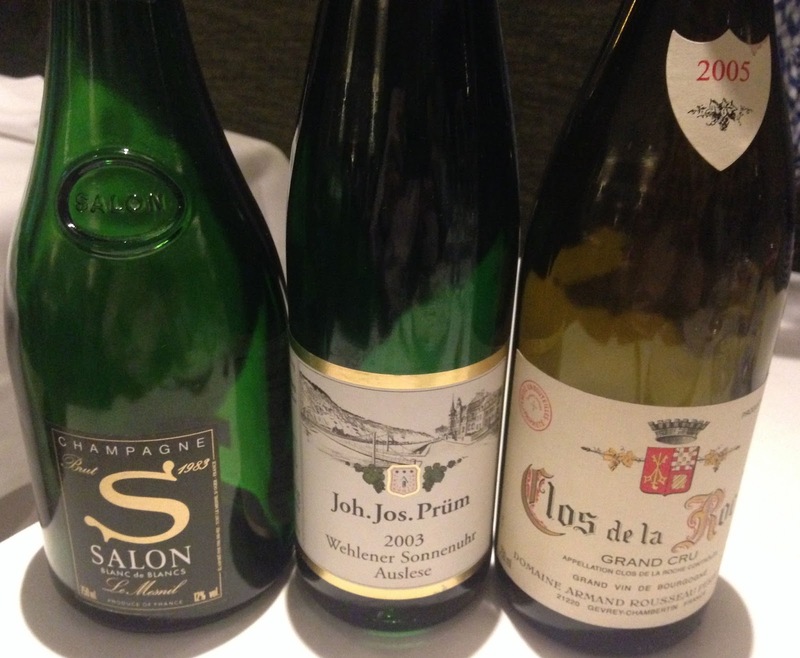 Those wines from 2001 and before are ready to drink though 2001 and 1999 are still youthful and evolving gracefully. Sediment is less of an issue than with Barbera so I would either allow the wine to breathe standing up with half a glass removed (and drunk!) or decant gently before serving. I far prefer the wine to evolve in the glass so, personally, do not advocate extended decanting though some people do. Barolo Riserva Monfortino– Monfortino is a wine with a vast drinking window, one of the most long-lived of all wines. 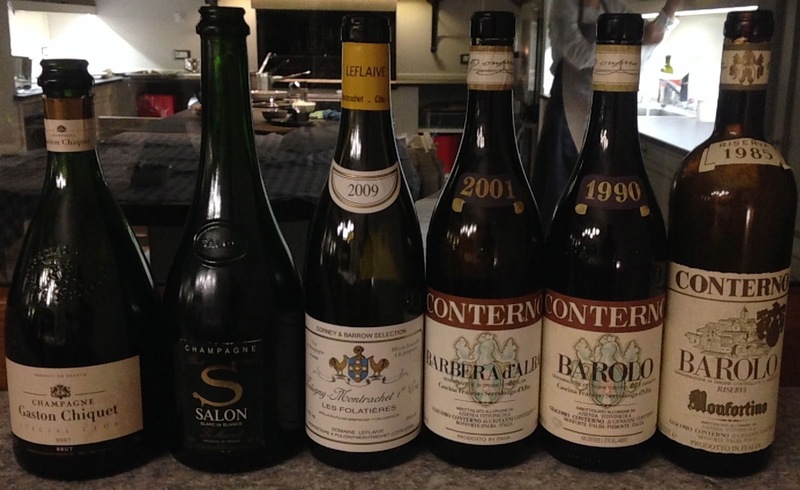 The youngest vintages that I feel are drinking well now are 1997 and 1998. I would never put someone off drinking a younger vintage as the enjoyment of watching a wine develop, bottle by bottle from youth to full maturity is one of the real joys of wine. Younger vintages will require more time in decanter, I recommend 1-2 hours. I would decant mature vintages but as with the Barolos above not for extended time so the wine can evolve in glass.